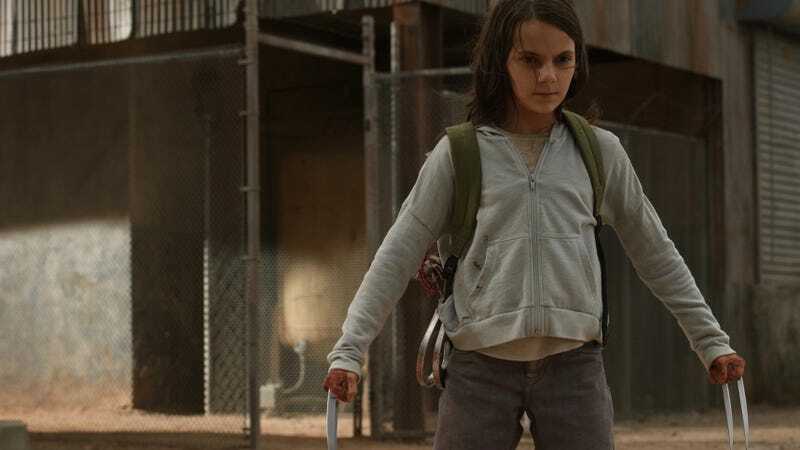 Dafne Keen, seen here in Logan, will star in His Dark Materials. Tom Hooper, Oscar-winning director of The King’s Speech, has just signed a deal to direct BBC’s big-budget take on Philip Pullman’s His Dark Materials fantasy series. It will star Dafne Keen, who played X-23 in Logan. According to Deadline, Keen will play the lead role of Lyra in the eight-episode adaptation, which is expected to span all three books: The Golden Compass, The Subtle Knife, and The Amber Spyglass. Hooper will direct the series, scripted by Jack Thorne (Skins), for BBC One; negotiations are taking place for US and global rights, with both Netflix and Apple in contention. His Dark Materials is the epic story of Lyra, a young girl who lives in another dimension where every person has their own personal dæmon. After investigating the case of some missing kids, she quickly finds herself wrapped up in a story that involves the building blocks of the universe, multiple dimensions accessed via knife, armored polar bears, and much more. The first book, which was also titled Northern Lights in some parts of the world, was not-so-famously adapted into the 2007 movie The Golden Compass, starring Nicole Kidman. Hooper is hoping to direct this project as well as a live-action version of Cats, and there’s no indication which will come first on his schedule.